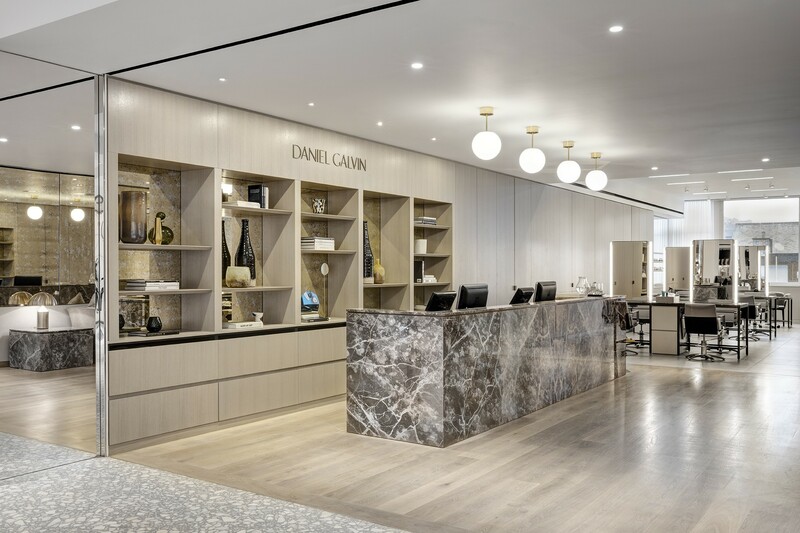 Universal Design Studio has designed and completed Daniel Galvin's fourth salon in Selfridges. The residency within the wider development of the Body Studio department, established to celebrate fitness and wellbeing sits nestled on the third floor. The adjacency to Hemsley & Hemsley, allowing clients the opportunity to order from there as part of the wider wellbeing offer. 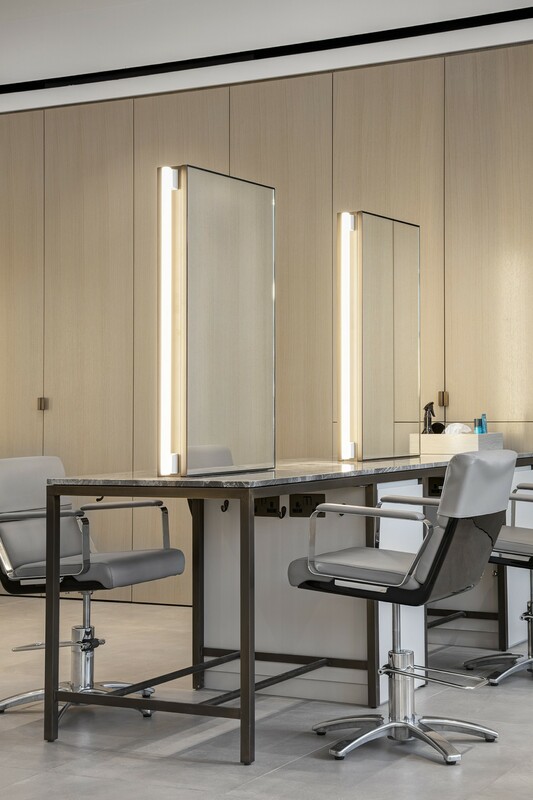 Working closely with Louise and James Galvin on the design direction, the salon takes reference from the established brand palette. The overall aesthetic is linked to domesticity, with key material shifts introduced with a statement marble, muted timber tones and accents of brass. The site itself is an L shape configuration, leading off from a large atrium. The reception and retail spaces are housed in the lower arrival section of the space. 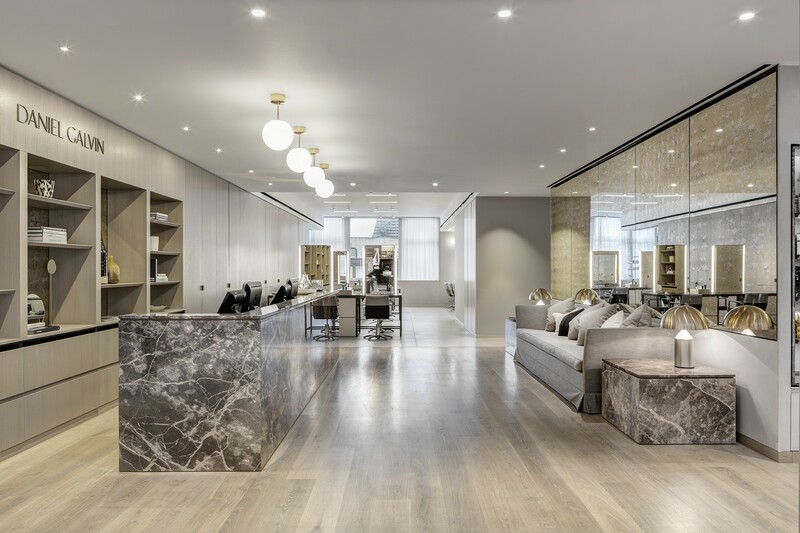 The reception desk, clad in marble is set in front of a curated display wall, sits opposite a bespoke commissioned Axel Vervoordt sofa. 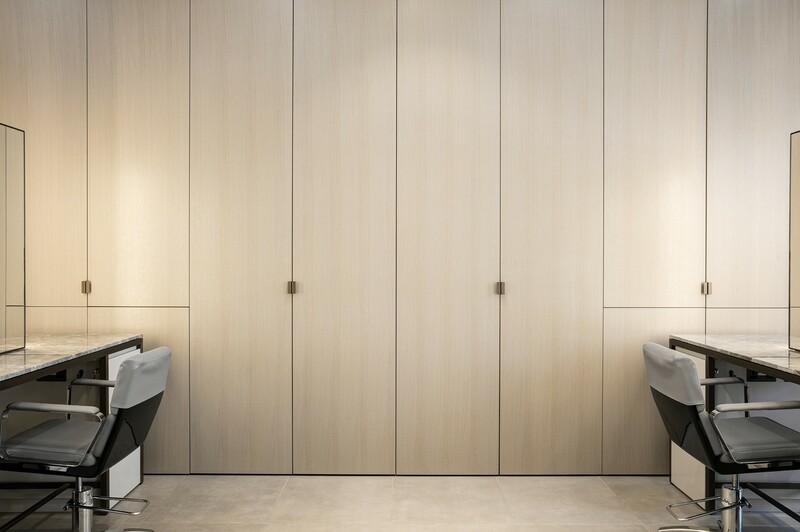 Within the higher volume main salon space, bespoke marble, brass and mirror hair stations are set against a muted timber wall. 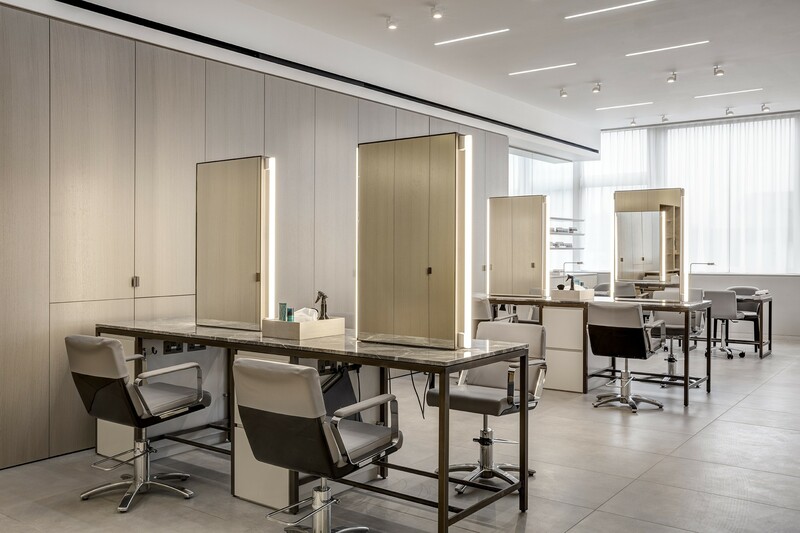 The large existing Crittal windows along the east facing elevation allow an abundance of natural light into the heart of the salon, with stations adjacent. 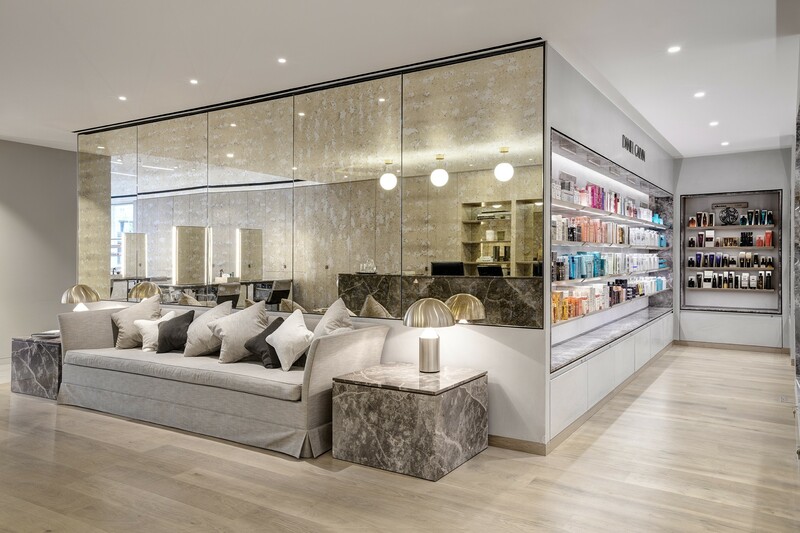 Towards the rear of the salon, two treatment rooms and a VIP room are housed. These sit within the glazed and architectural rhythm of the existing and newly formed entrance off Duke St.